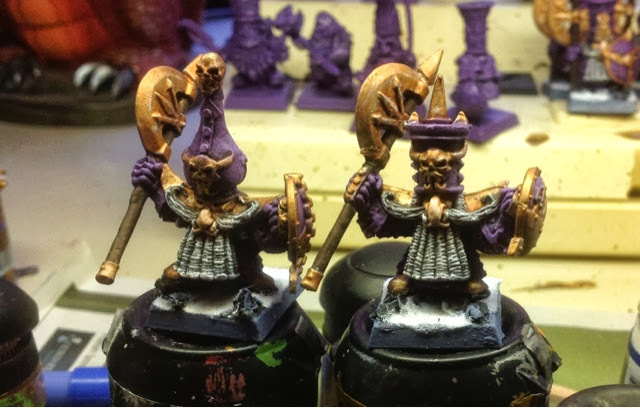 These are my first conversions for chaos dwarf ironsworn. 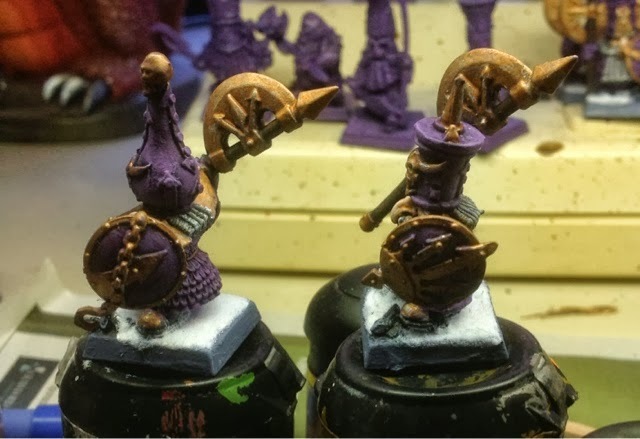 Pretty simple conversion of the classic blood bowl chaos dwarf minis with the axe head from one of the plastic chaos dwarf warriors with remainder of the axe comes from a skeleton spear. The shields are chaos marauder infantry shields. My goal is to convert about 20 of these guys.